Robert de Niro makes no bones about his feelings for Donald Trump. He’s spoken about wanting to punch him in the face, and he’s already appeared on Saturday Night Live as Robert Mueller. 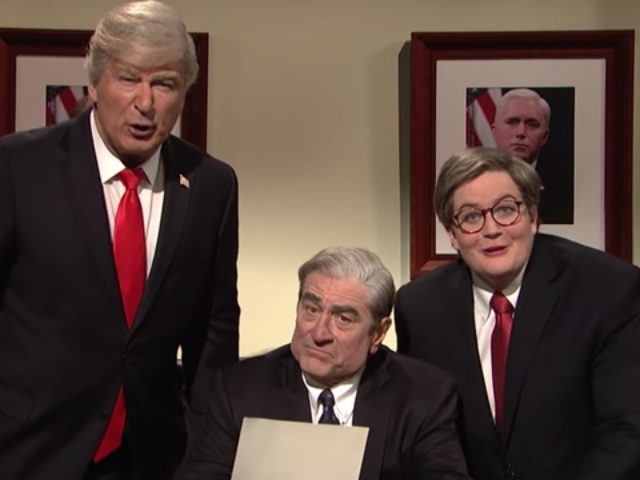 On this weekend’s show, de Niro reprised the role, although his words were mediated through Attorney General William Barr, played by Aidy Bryant. We know that Donnie has been singing from the rooftops about how the report is a total exoneration, but what does the full report contain? That battle is still raging, but let’s enjoy some of the action from SNL. You’ll find many Americans hanging onto that P.S. about the Southern District of New York and that legal battle with Trump.